I believe there was a thread on this I could be wrong. Ill go look for you. Nope...they're chinese...10mg per tab. 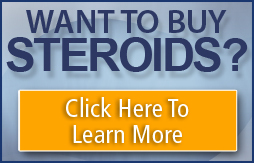 Some reports have indicated only 5mg of ox and 5mg of a similarly structured steroid ...most likelt dbol . Recommendation is to still use as if they were 10mg of ox. My wife is usingthem now and is getting good results with little to no negative sides. mrs. evil used them before too and got great results. that is odd...chinesse as in ** chinesse?? they came from a overpriced supplier on another board....usually all he has is mexican stuff cause that is all he can get ahold of....these anavars very small, does that sound right?? Yep...light yellow, very small (about the size of a childrens aspirin) and yes the are Bruce Lees ** tabs. ** anavar comes in yellow and white. I am picking some up and my source told me they are both legit. BTW please dont ask me for a source. Why is this guy calledd bruce lee? Does ** have a Good or Bad REputation? I was told they weren't very good.. anyone had any experiences? this was the color of the anavar that got seized on my order. the description on the customs letter said pinkish-yellow capsules. my source also confirmed this description, and added that they were 10mg generics out of spain. i recieved a 2nd letter from customs stating that the tests they ran on the caps confirmed legitamacy also.